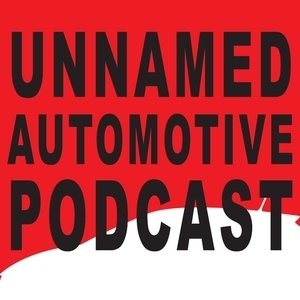 We found 4 episodes of Unnamed Automotive Podcast with the tag “lamborghini”. Both Sami and Benjamin drive the 2019 BMW X2 M35i and realize it's not a crossover, but a hot hatch. Sami then puts Benjamin through the ringer with a lightning round about the supercars from Geneva auto show, and things get weirdly focused on how many clutches it takes to win Benjamin's heart. Guest Brad Iger takes us to the the former F1 track at Estorol where he drove the 2019 Lamborghini Aventador SVJ, while Sami opines about the underwhelming 2018 Alpina B7. Meanwhile, Benjamin gets his first turn behind the wheel of the redesigned 2018 Jeep Wrangler. The Lamborghini episode! Sami drives the Aventador S roadster and falls completely in love, while Benjamin compares the smallest Mini - the Cooper - to the largest Mini - the Countryman All4 JCW. Will opposites attract? The pair also discuss the latest version of the Dodge Challenger, the Hellcat Redeye.